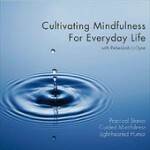 Mindfulness instruction and stories that help make daily mindfulness practice simple. Discover for yourself how to be open to your own joy, as well as your own sorrow. Intermediate students will love this CD! This dynamic Yoga practice will energize and center you. Rebekkah’s nurturing and easy to follow Yoga instruction is accompanied by the beautiful music of Snatam Kaur. Move, breath and enjoy! 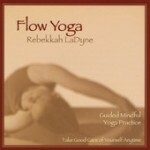 75 minute Guided Hatha Flow Yoga Practice A rejuvenating yoga practice for intermediate students. A great CD for beginners. If you have fifteen minutes or over an hour, you will find release and rejuvenation with this easy to follow yoga practice. 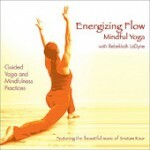 With clear instructions and soothing music, Rebekkah guides you through a simple hatha flow yoga practice. Flow Yoga offers 60 minutes of instruction with variations to suit your needs and a chance to discover something new each time you listen. Suitable for those with minimal yoga experience or regular yoga lovers.